It is often said that God moves in mysterious ways. Reflecting on my journey from Her Majesty’s Chapel Royal, St James’s Palace, London to Master of Music, St George’s Cathedral, Perth, and the decade that followed, I feel there is much truth in this saying. In 2007, I was examining for the Associated Board in Kuala Lumpur when, out of the blue, I received an email from Dr John Shepherd, then Dean of St George’s. He and his wife would soon be in the UK for a wedding; could we meet up? I was intrigued. A chat with Tallis Scholars conductor Peter Phillips (whose son, Edmund, was in the Chapel Royal Choir) confirmed Dr Shepherd was no ordinary man. He possessed three degrees, two doctorates in music and had been chaplain at Christ Church, Oxford. We met and agreed I’d come “for a look around Perth”. This casual invitation involved my being interviewed by many people, including members of the Cathedral Chapter, playing the organ to a selection committee, conducting a boys’ rehearsal and conducting the Duruflé Requiem with the Cathedral Choir for All Souls Day. The boys were in a rather lamentable state, but there were just enough good ones to keep the line alive, and the lay clerks were of a high standard, certainly upper tier English Cathedral level. Unfortunately, there had been a long interregnum, which is never good for choirs, but as I was to discover, John had just been waiting for the right person to bring his vision to life. The first six months were often depressing. My attempt to bring a piece of the professional London choral scene to Perth was met by stiff resistance. Yet, with John backing me to the hilt, it was difficult to leave. To his credit, he let me make my own mistakes, and never once questioned my decisions. 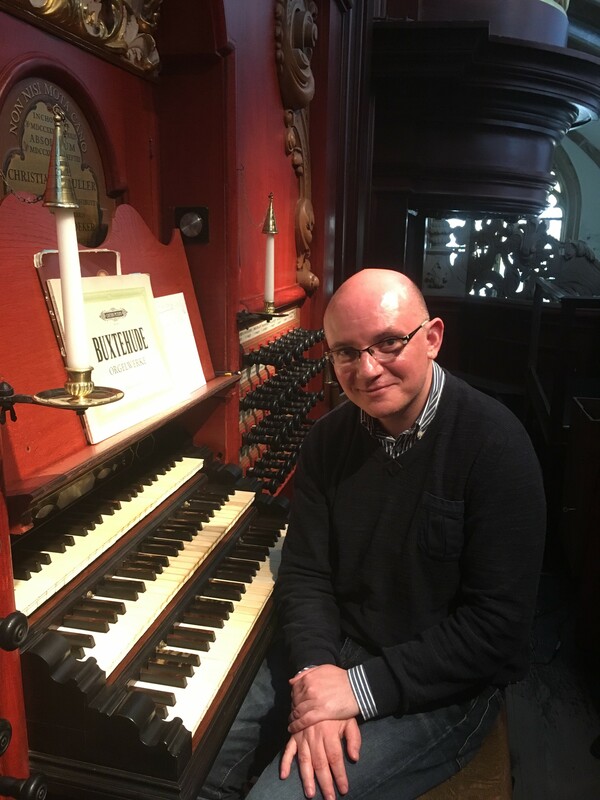 This, and his deep-rooted love of cathedral music, was key to helping me move the music to where it needed to be, underpinned by a sizeable increase in the music budget to improve conditions for the Lay Clerks. Easter Day, 2009 was the big turning point. We performed Naji Hakim’s challenging and out-there Messe Solennelle. It went down like a lead balloon with many in the congregation, but the Dean loved it and the Choir nailed it. Somehow, and much to my relief, a support network emerged. From then on, the Cathedral Choir and Consort improved exponentially and now sing at a level that often takes me by surprise. In 2009, I introduced a formal Concert Series focusing on the great core choral repertoire and presenting West Australian premieres. Examples include Monteverdi’s Vespers with original instruments and, most recently, Handel’s Solomon. This series has been crucial in developing musical standards and increasing the musical outreach of the Cathedral to the city of Perth. The 2018 series opened with a concert held at Perth Concert Hall in conjunction with the King’s Singers. It is a matter of great pride that reviewers in The West Australian and Limelight commented that the Cathedral Consort held its own alongside this long-standing sextet. The Cathedral Consort has now become the go-to ensemble when a professional choir is needed in WA, especially when required by WASO and ABC Classic FM, for whom we broadcast. The Concert Series is supported by many private donors, who have provided the most incredible support. There are too many to mention but my sincere gratitude goes to Mr Julian and Mrs Alexandra Burt for underwriting the Concert Series. And of course, none of this would be possible without the enormous support of the current Dean, The Very Reverend Richard Pengelley, and the Cathedral Chapter. Despite the reservations of former colleagues, since moving to Perth my concert and recording career has exceeded my wildest dreams. Being named Recording of the Month in this magazine and the critical and popular success of my Widor recordings for Signum have changed my professional life. Is Australia the lucky country? Based on my time in Perth, it has been for me.